Lindsay and I put together a pilot podcast for Mainlining Christmas. In addition to a prolonged discussion on the longstanding relationship between the holidays and time travel, you can listen to me reading one of my stories aloud. We're planning at least a few more episodes on some other nerdy topics. Time frame is still TBD, however. In other news, as I type this, you're anxiously waiting in line to get tickets for Star Wars: The Last Jedi. I caught it on Thursday night, and I loved it. I typed up some thoughts over at The Middle Room, though I'd avoid any reviews or discussion until you've seen the movie. 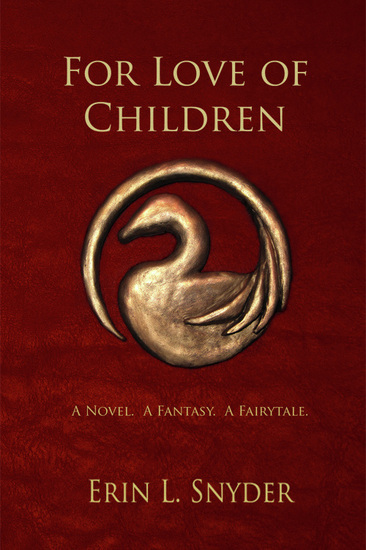 If you haven't read my first novel, the Kindle edition of For Love of Children is only 99 cents this weekend. I started For Love of Children after graduating from college in 2003, and it's still the work I feel closest to emotionally. We're also making A Count of Five free this weekend, so this is a great time to save a few bucks. The Christmas season is upon us once again, which means Lindsay and I have kicked off our annual binge of holiday media at Mainlining Christmas. We're continuing our tradition of posting reviews or articles three times a day through December 25th. I suppose this is as good a time as any to announce I've finished a first draft of all nine novels in The Citadel of the Last Gathering. There's still a lot more work to do, but we're hoping to have book 5 edited and released Spring of next year and (no promises) maybe get book 6 out before the end of 2018. 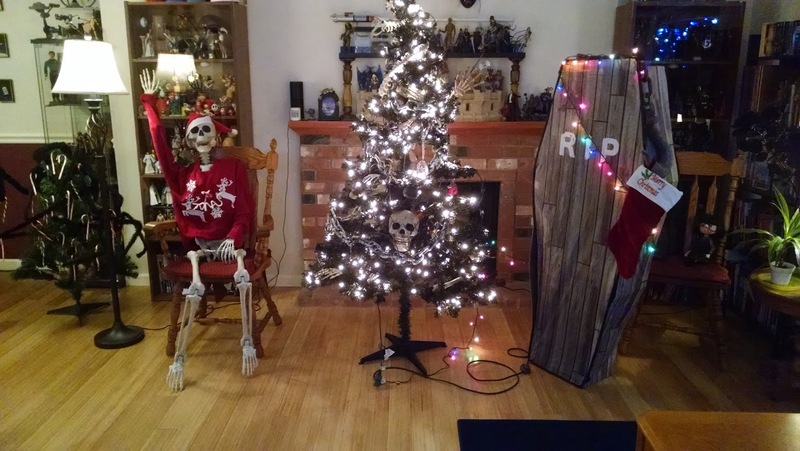 I'll leave you with this picture from our Black Friday party. If you want more context, head over here. A Contest of Prophecies - Available August 10th! 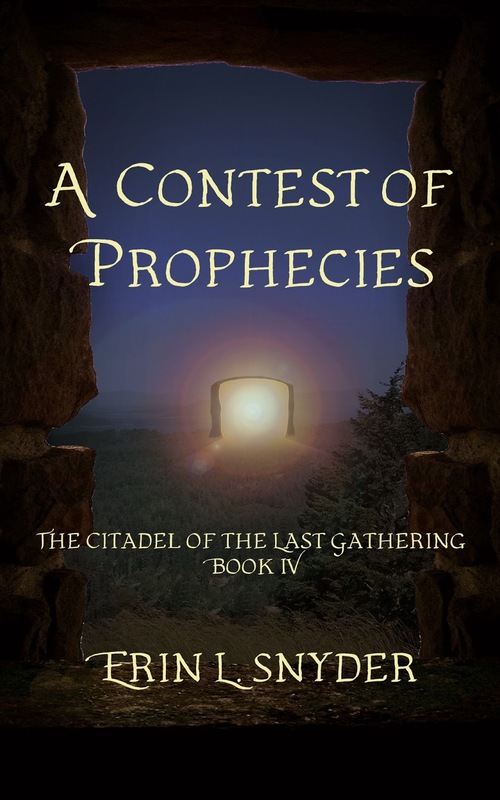 A Contest of Prophecies, book four in The Citadel of the Last Gathering, will be available on Kindle August 10th - you can pre-order it now. A paperback version will be released around the same time (give or take a few days). It picks up right where we left off at the end of A Unique Sickness of Spirit - on a stolen airship circling the world. I think those of you who have read the earlier books will really like this one. As for the rest of you... what are you waiting for? Not even history can withstand the vastness of time. In streets blackened by soot and the shadows of airships, their names were legend. But if they want those stories to survive, Alaji, Phaesha, and Yemerik will need to craft a prophecy that will last for eons. They’ll need to travel back to a time of dragons, knights, and castles and forge an alliance with a man destined to be king. They’ll need to start a war that will kill thousands and conquer a nation to create a past that matches the future they left behind. But theirs is not the only prophecy. A spirit has followed them back through time, and it will not rest until Alaji is destroyed. Their war in the past masks a grander contest between forces striving to reshape all of time. 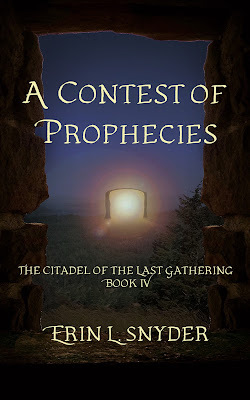 A Contest of Prophecies is the fourth book in The Citadel of the Last Gathering, a time-travel fantasy series following a young woman from an era before history journeying across millions of years, exploring a world of evolving magic. I thought I'd check in, since I haven't posted in a few months. As always, I've been busy writing. I'm still planning to release my next novel, A Contest of Prophecies, this summer - our current target is mid-August. In addition, I'm hoping to find some time to start getting some new short fiction up. Assuming everything goes as planned, I'll work on those as soon as I'm done revising. In the meantime, it's summer, so the superhero movies have been out in force. Recently, I went to see Wonder Woman and Guardians of the Galaxy Vol. 2. Click the links for my reviews, if you're curious, but the short version is I loved them both. Oh, wow. It has been a while since I last posted here. Long enough I haven't mentioned Kong: Skull Island yet. I liked that one, too, though it wasn't on par with the two above. In addition, I do an annual breakdown of summer movies, along with projections (fancy way of saying 'wild guesses') for how good I think they'll be. Find that here, if you're really bored. What else? Lindsay and I have been out hiking again this year (hence the picture above). Plus, this is our first summer in our new house, so we've been having fun discovering what flowers pop out of the ground and what animals come out of the woods, such as this guy we saw hanging out on our porch. 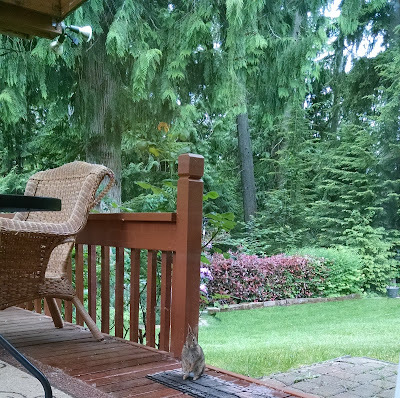 I'm not even going to pretend I don't love bunnies. Freaking adorable. It's been more than a month since my last post, and I didn't want you guys worrying I'd disappeared. 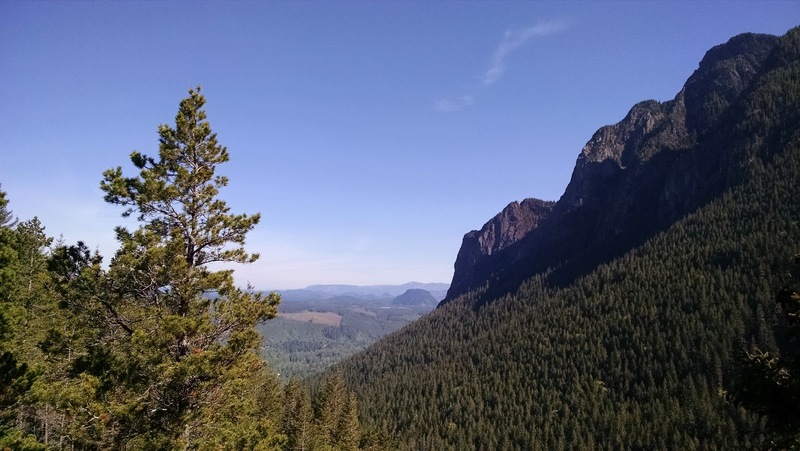 I've been busy revising A Contest of Prophecies, the fourth novel in The Citadel of the Last Gathering, and working on the next three books. Actually... make that the next four books. I started writing book eight a few days ago. Like I said: BUSY. If all goes as planned, A Contest of Prophecies should be available this summer. What else? I've reviewed a couple superhero flicks since I last checked in: LEGO Batman and Logan. Not much difference between the two, aside from the fact one is significantly more violent than the other (the violent one being LEGO Batman, obviously). I thought both were good, though the Batman movie felt a tad redundant compared to other things I've seen.